I’m not a big fan of the Jaguar E-Type and it seems I’m pretty much the only one in this position. Not only do people still talk about it and want one, others actually make tributes to it. The latest in that line is called the Lyonheart K. It used to wear a Visualtech logo on its front but who knows what trademarking mishap took place along the way. The Designer is called Bo Zolland and he doesn’t seem to want to give up on his idea despite the troubles so far. 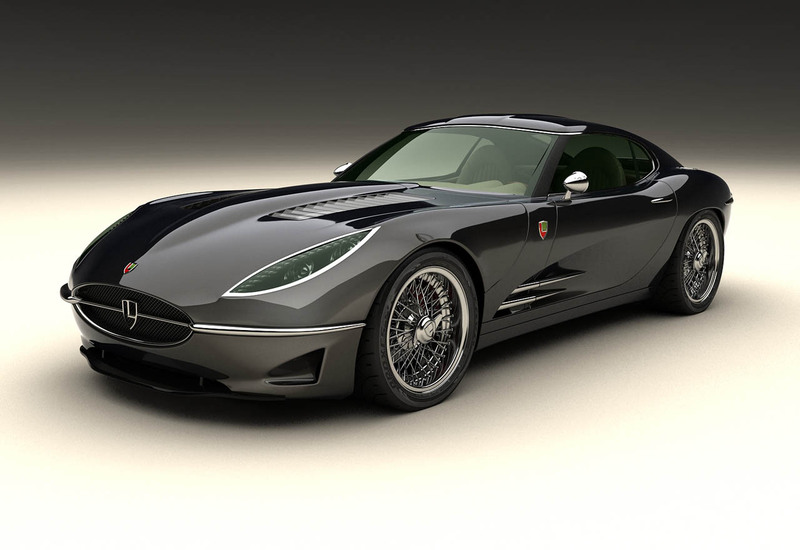 The man is adamant about sending the Jaguar E-Type ripoff Lyonheart K into production and he wants to do so properly. Using aluminium for the chassis, carbon fiber for most of the body, chrome for the bumpers and wired wheels, the construction is to be amazing. We’re not very keen on the interior but by most guesses what you can expect is something simple, beautifully detailed and with as little equipment as possible. What will make up another part of the appeal of this sports car icon rebirth will be the engine. At the moment the plan stands at the Lyonheart K being powered by a modern Jaguar V8, the sort that comes with a supercharger. That means some 550 horsepower and 500 lb-ft of torque will be available and ready to take the car up to 62 in just 4 seconds and eventually hit a top speed of 186. It’s electronically limited, but who cares when it’s that high. Speaking of high, the pricing for one of these coupes on the road should come in at around $650.000 in the UK.